Eating is perhaps my favorite pastime. While I typically prefer to eat at home where I can prepare higher quality food with enhanced taste and healthier ingredients, there are occasions when I have to pick up something in town. In these instances, I tend to gravitate toward restaurants with a mobile app so I can take my time while deciding on my order, and Chick-fil-A and Taco Bell are a couple restaurants that fulfill this criterion. Unfortunately, the iPhone apps of these establishments don’t yet support Apple Watch. There are, however, some food apps that do, so let’s take a look at them. The classic restaurant finder has been on Apple Watch for a while, and if you don’t have this app installed, you should. It’s a staple for anyone who ever eats out at any time, especially if you’re in a larger city. The miniature version pulls local results for four basic categories – restaurants, bars, coffee & tea, and hot & new – to scroll through, and reviews, pricing, and opening/closing times can be viewed for each listing, with the option to get directions to the restaurant right on your Watch. About the only things it doesn’t support are search and creating your own review, so you’ll have to pull out your iPhone for those. Overall, the free Yelp app is an excellent compliment to your wrist and adds a sizable amount of practicality, allowing you to find the nearest McDonald’s directly from your Apple Watch Edition. Right up there with Yelp, OpenTable is a necessary accoutrement, particularly for skipping those long lines during a Friday night’s dinner in town. The iPhone app allows for reserving a table at your restaurant of choice, while the Apple Watch app does the lighter task of notifying you of upcoming reservations. While not the most practical use of WatchKit, it adds a layer of convenience when checking to see how long until your table is ready. OpenTable is free, so downloading it is a much simpler decision than where to eat. I love burritos. Whether they’re from an authentic or Tex-Mex restaurant or from whatever style Chipotle calls itself, I love them, which is why Chipotle’s Burrito Button is so dangerous. The Chipotle app already made customizing an absolutely incredible burrito simple and line-skippingly convenient, but the Apple Watch version makes placing your favorite orders even more temptingly easy. There’s quite literally a large, round button filling the screen when the app is launches, and it makes the decision too easy. Download Chipotle – it’s free (the burritos aren’t). If you prefer cooking at home to paying someone to do it for you, this app is definitely for you. Yummly has countless recipes to browse, save for later, and cook right away. If you don’t have the ingredients on hand, Yummly will create a grocery list for you, which can be displayed on your Apple Watch for reference at the store. The free Yummly app is the healthier, cheaper way to eat, and whether you’re a seasoned chef or simply interested in the art of cooking, Yummly is a great companion to the kitchen. 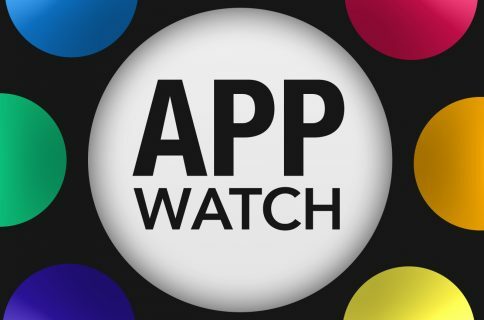 Have a sweet Apple Watch app you discovered at the bottom of the barrel? Drop me an email at timothy@idownloadblog.com, or let me know about it below.